Earlier this year, when Canonical decided to drop Ubuntu Phone along with Unity 8, the community tried to keep both alive in many different ways, either forking and trying to continue the development, or trying to find a way to replicate the same user experience in another desktop environment. One of the many results of this effort is United-GNOME, a GTK theme inspired by the looks of Unity 8. I have to say that I’m really happy to see another well made GTK theme in the wild. 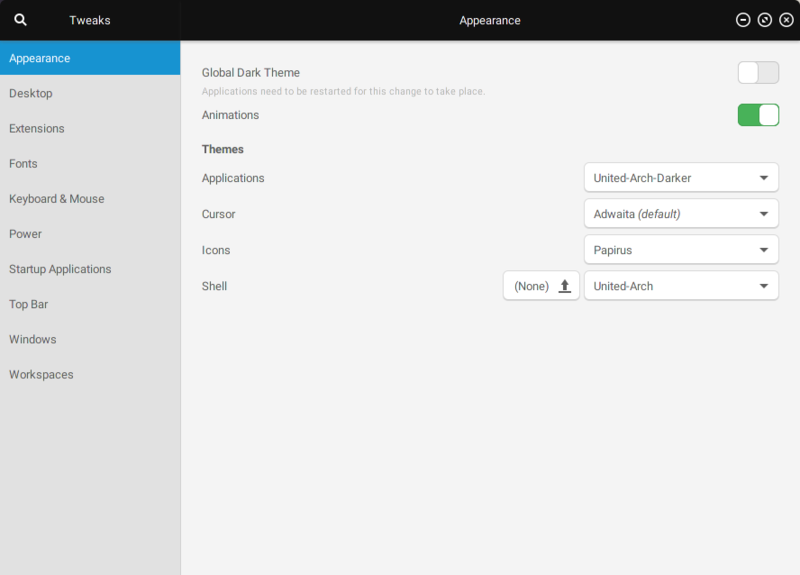 Before United the only themes worth using on GNOME were Arc or Adapta or alterations/modifications of them. If you want to try it out, here’s how to install it. First you need to go to the GitHub releases page, then choose one of the different versions available and download it. As of the time I’m writing this article, there are quite a lot. They differ mostly for the distribution logo and main color (I have the Arch version, which has the Arch logo and a nice blue as the main color). Once you have downloaded the one you prefer, extract all the files in it to the ~/.themes folder. To reach it, open your Home folder and press Ctrl+H to show hidden files, then locate the .themes folder. If you can’t find it, just make a new one. Finally open up GNOME Tweak Tool and select one of the different versions available to apply it. What do you think of this theme? Do you like it or hate it? Do you know any different or better ones? Let me know in the comments!